Publicação seguinte // Alani Release Date, Double XP Event, and More! In this week’s Battleborn Battleplan, we have a lot to talk about. Our first double XP event is incoming, as is a new character. Oh, and don’t forget about those Hot Fixes! This is going to be a big week. Among other things, tomorrow (Friday, May 20th) will see the beginning of our first Battleborn Double XP Event! That’s right; make sure to hop in and take advantage of double XP on both Command and Character Rank. Double XP Weekend will run from 8am PT (11am ET) tomorrow (Friday, May 20th) through 8am PT (11am ET) Wednesday, May 25th, so don’t miss out! This week’s Hot Fixes were focused around minor performance improvements and bug fixes. That said, we did want to make sure and add something bigger into the mix for you all, so how about Advanced Story Mode? This week’s Community Spotlight is shining on cosplayer Kaytea Rhea. Kaytea is well known in the Gearbox cosplay community for her awesome cosplay looks, including a pretty stellar Phoebe cosplay. Head over to the Gearbox forums and check out our Community Badass thread featuring Kaytea! As you may know, a while back we announced that Battleborn would be receiving five FREE characters post-launch, bringing the total number of playable Battleborn to a whopping thirty. Well, the time has come for us to unleash the first, Alani, onto the Solus System! 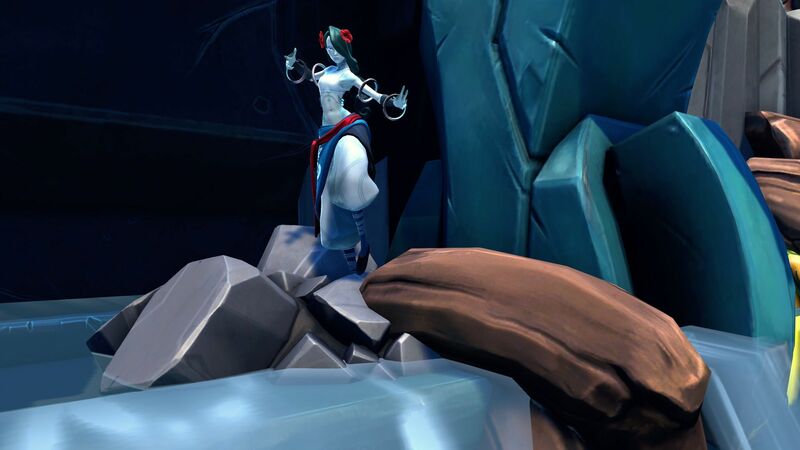 Alani, a member of the Eldrid faction, uses the power of water to help exterminate her foes (and heal her friends). If this sounds like fun to you, then we’ve got good news: Alani will be released on May 31st! On top of that, if you own the Season Pass, Battleborn Digital Deluxe Edition, or you played the Open Beta on Playstation 4, you’ll get to play Alani a full week early starting on May 24th. You can purchase Alani for 47,500 in-game credits, or you can instantly unlock her using a Hero Key. Find out more about Alani and Hero Keys, including what they are and how they work, in this blog post. Inscreva-se no boletim de notícias da 2K para receber informações e conteúdo exclusivo do Battleborn. © 2016 Necromonger, LLC. Gearbox e os logos Gearbox Software são marcas registradas, Battleborn é uma marca registrada, todos usados por cortesia de Gearbox Software, LLC. Todos os direitos reservados. 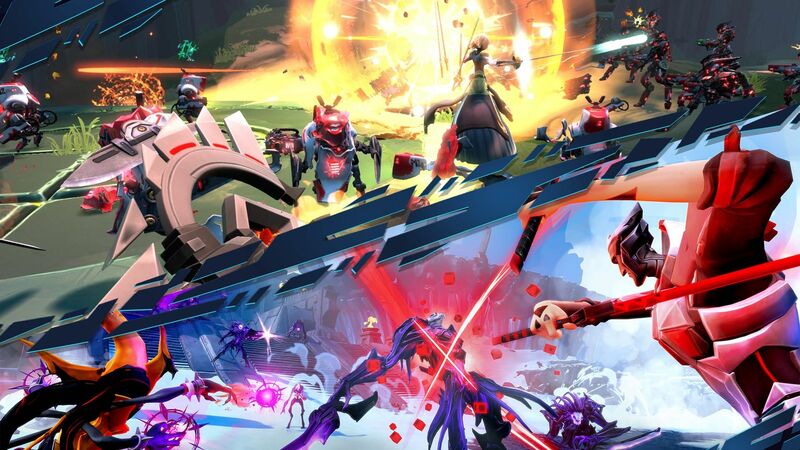 Battleborn é publicado e distribuido por 2K. 2K e o logo 2K são marcas registradas de Take-Two Interactive Software, Inc. nos EUA e outros países, usados aqui sob licença. O logo da família "PS" é uma marca registrada e "PS4" é uma marca registrada de Sony Computer Entertainment Inc. Os ícones de classificação são marcas registradas da Entertainment Software Association. Todas as outras marcas são propriedades de seus respectivos donos.